For many thieves copper has become their new gold. Because copper prices are trading at record levels, some local San Antonio thieves have decided they should be stealing pipes and wiring for a quick cash reward. As a result there have been over eight major thefts of copper and other scrap metal reported by the Kendall County Sheriff’s office. These same criminals are becoming extremely brazen in their attempts to steal copper and other scrap metal. In one incident, a would-be thief applied for a job at a construction site only to return the next day to try and steal some of that scrap metal material. He was chased off by other workers but it just goes to show how desperate these criminals are to score scrap metal. This is why it’s so important for you to get rid of any scrap metal you might have around your property before some thief decides to make you his next target. 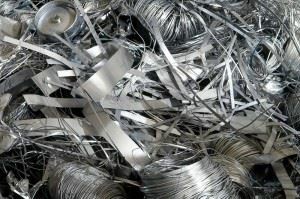 Scrap metal is pretty much anything that is piled up outside a home or garage that is made of steel, iron, copper or aluminum. You might not think there is much value in something like aluminum siding scraps or an old tub and you probably be right. But that’s not going to stop some thief from snooping around hoping they can make a score. Even things like old car parts or a lawnmower could be considered scrap metal. This is why you need to take a proactive stance and make sure you clear out the clutter by hiring a professional team of junk haulers – Junk King San Antonio. What this pro junk hauling team can do is show up at your home on an agreed upon time. They’ll be bringing with them a big truck and plenty of manpower to haul away any amount of scrap metal you want to get rid of. They’ll also be able to take that scrap metal to the right recycling facility to make sure it doesn’t end up in a local San Antonio landfill. It’s not just scrap metal these professional junk haulers can get rid of – they can haul away pretty much anything you have that collecting dust or rust. This could be the perfect excuse to finally tackle cleaning out your garage. A simple approach would be to drag out anything you want to throw away into a pile on your driveway on the same day that the junk haulers are showing up. The moment they arrive no get to work loading up their truck and before you know it you’ll have an empty garage! You can also utilize Junk King San Antonio in a whirlwind removal tour of your home. Guide them through your house and point to all the things you want taken away like old pieces of furniture or unused kitchen appliances or boxes of junk. They can cart it all off. In the blink of an ideal have a house is free of clutter. This entry was posted in san antonio hauling, San Antonio Junk Pickup, San Antonio Trash Pickup, Scrap Metal Removal and tagged Get Rid of Scrap Metal, junk removal san antonio, San Antonio Scrap Metal Removal, Scrap Metal Disposal on February 24, 2012 by Mike Hasselbalch. Last updated August 2, 2017 .